Forms a creeping mat of tiny golden foliage with loose clusters of very light blue flower. 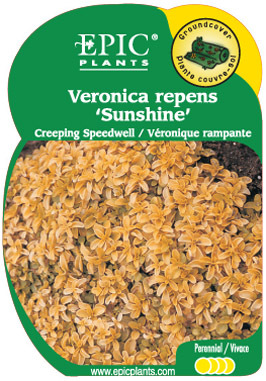 Effective in the rock garden, containers or between flagstones. Requires excellent drainage.